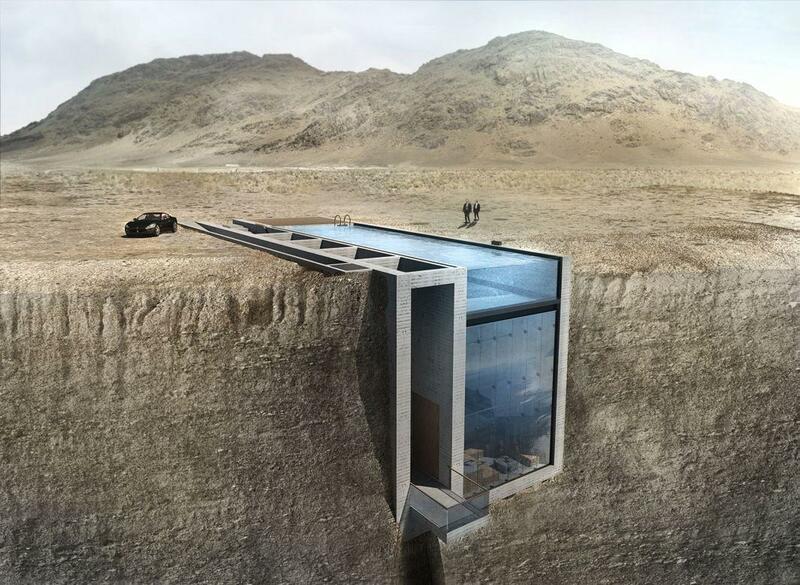 Casa Brutale from OPA is an architectural fantasy house carved into the edge of a cliff overlooking the Aegean. Casa Brutale from OPA is an architectural fantasy house perched on the edge of the Aegean. There is something eternally seductive about the idea of a house as precipice, tempting the elements by staking a foundation on the edges of the Earth, shunning mankind for a view of nothing but sea and sky. Casa Brutale as seen from above. Casa Brutale from Open Platform for Architecture, or OPA, is a conceptual fantasy vacation house embedded into a cliff overlooking the Aegean Sea. 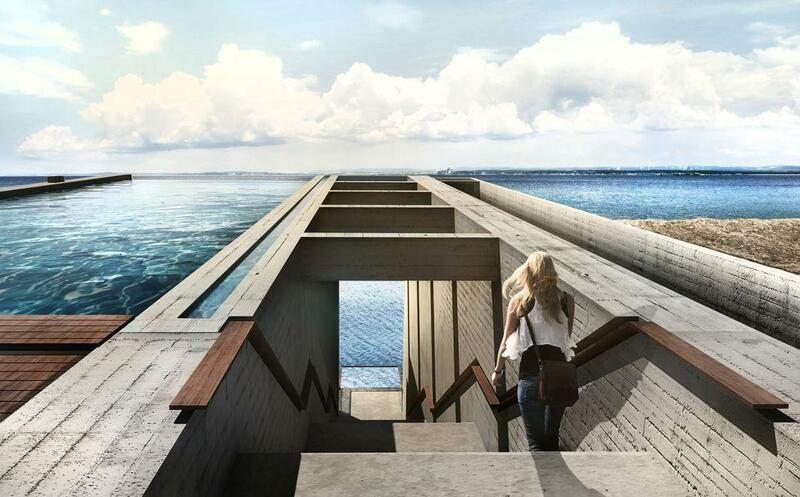 It’s reminiscent of a James Bond movie set location or this 2014 Cliff House proposal by Australian prefab architecture firm Modscape that was inspired by the barnacles that cling to the hull of a ship. 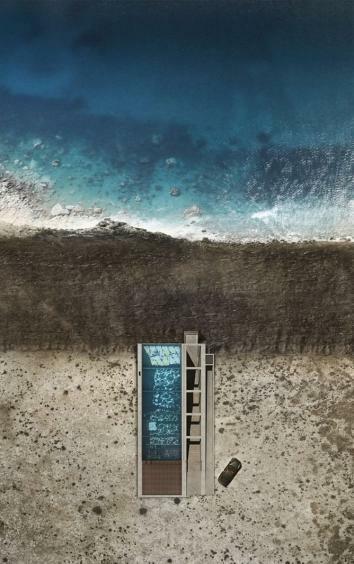 Intended to wedge itself seamlessly into the dramatic Grecian landscape dominated by sea and sky, Casa Brutale is made of concrete, glass, and wood and accessed by an elevator or a sweeping staircase. With a glass façade and a glazed bottom swimming pool for a roof, its design showcases the play of light and shadows on the raw concrete interior walls that pay homage to Brutalist design. Casa Brutale’s swimming pool roof. Casa Brutale is accessed by an elevator or by descending 50 steps down a sweeping staircase. 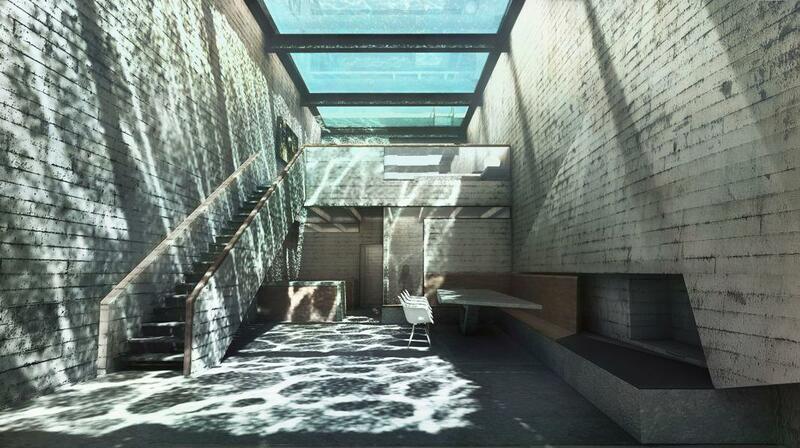 Light and shadows in the interior of Casa Brutale. 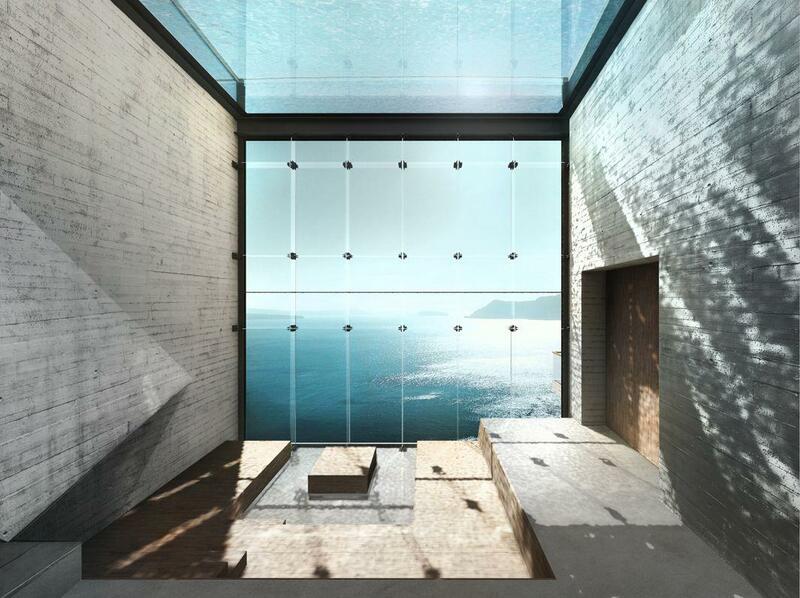 Casa Brutale has a glass façade with a jaw-dropping Aegean view. 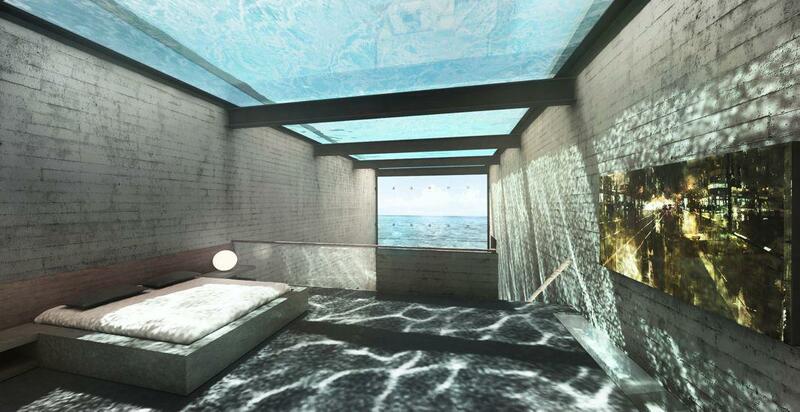 The master bedroom of Casa Brutale. 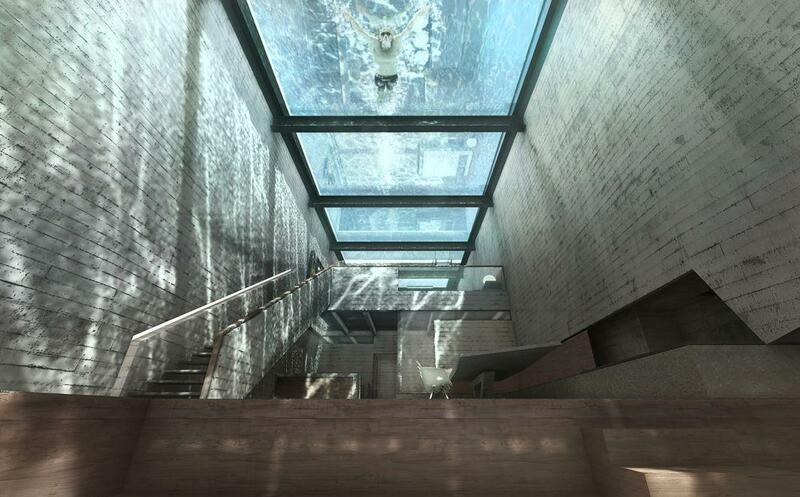 An interior view of the rooftop swimming pool. With Greece’s economy in ruins, it’s anyone’s guess as to if or when the 1,938-square-foot house, which the architects argue was “created to serve its owner and respect the environment,” will be built. It’s a compelling design. 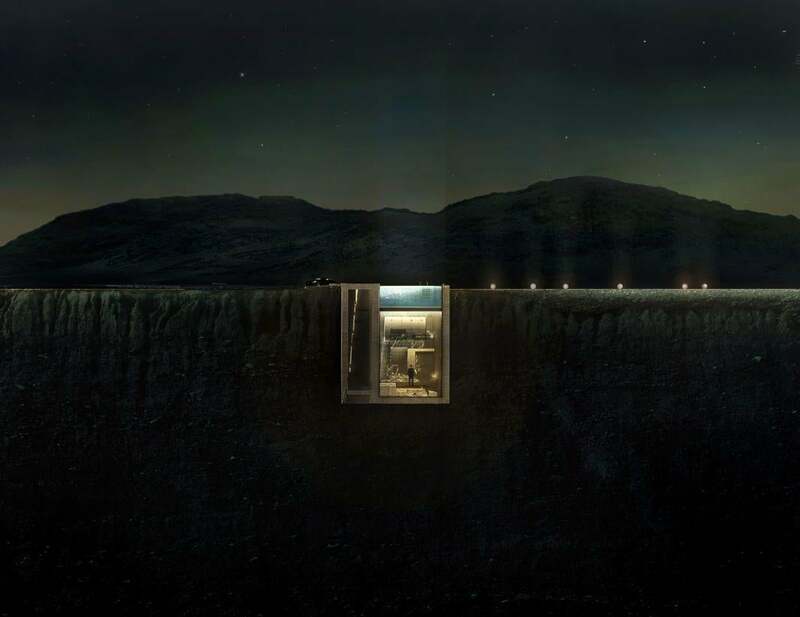 And it’s undeniably fun to fantasize about escaping to a cliffside crash pad. 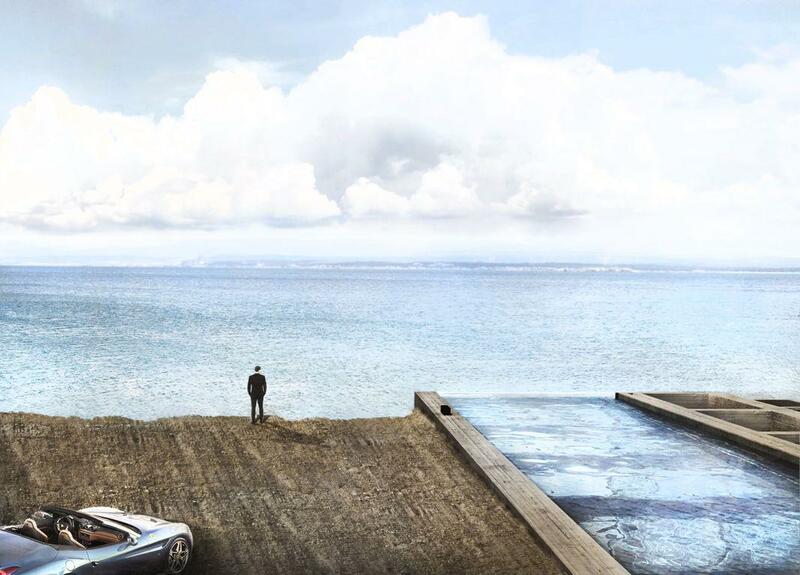 But while saving the world’s coastlines from the colonizing desires of man is a lost cause, surely there are gentler ways to leave a footprint on the Earth. 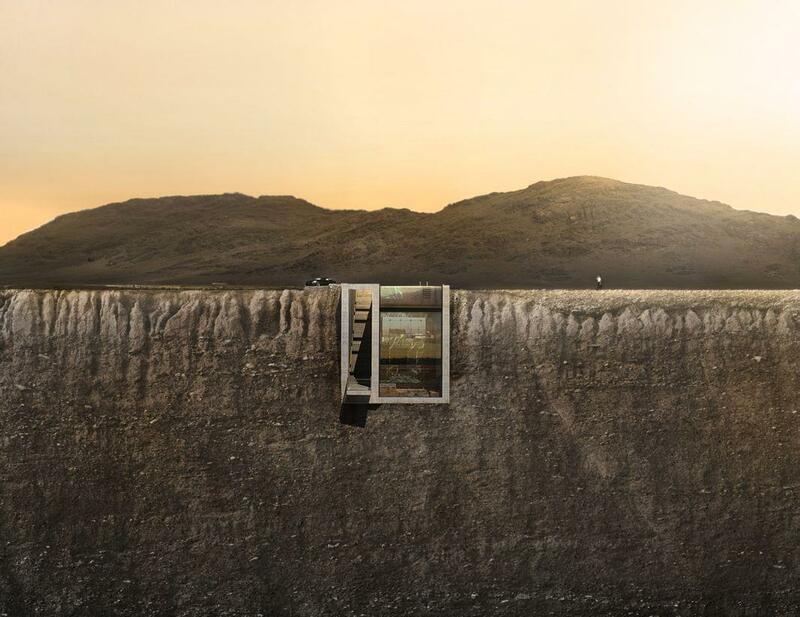 Casa Brutale may exude a tad less hubris and bravado than the protruding Cliff House, but there is something inherently macho about the architectural impulse to etch a permanent scar into the face of a cliff.